The meler handheld application guns are very lightweight and easy to use. They have a highly robust structure and specially designed mechanical components that secures the high level of accuracy and uniformity in the application of adhesive. They guarantee a wide range of movement and flexibility with the ability to rotate in complete 360º angle. 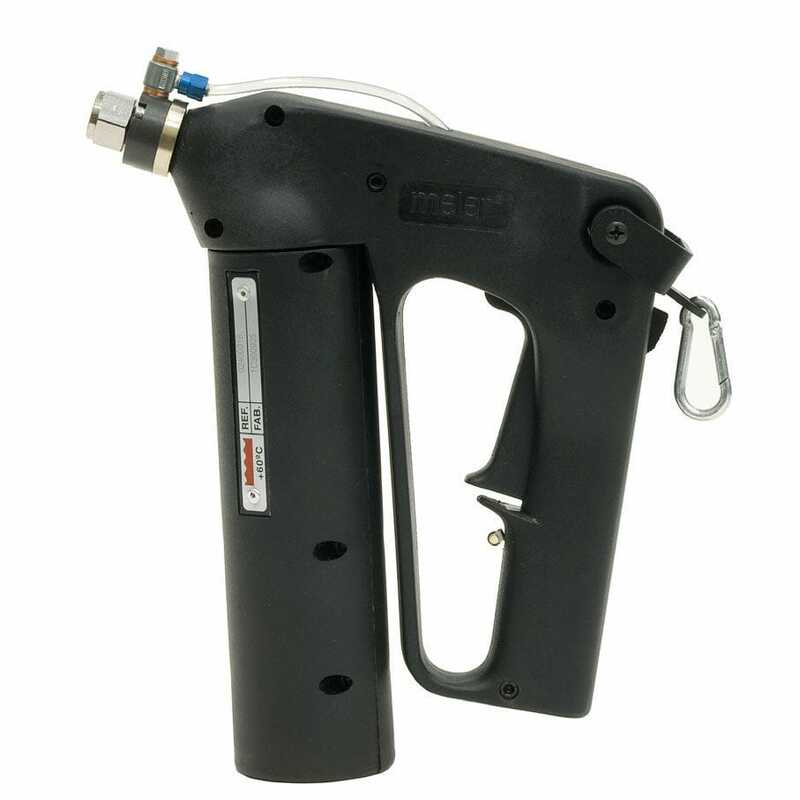 The handheld guns can be used with different meler melting units such as manual hoses from 2,4 to 4,8 meters long and variety of nozzles diameters between 0.35 and 2.25 mm. All components including the handle and control mechanisms are insulated from the heated components. This results in complete uniform heat distribution. This protection guarantees application without any risk. The installed progressive trigger assures a controlled application of adhesive. It has an ergonomic design that makes these guns very easy to work. Swirl pattern can be adjusted depending on different air pressure and nozzle diameter. The little switch independent of the glue trigger can generate the air that creates the swirl.